"Danza Kuduro" is a Spanish/Portuguese-language hit song from Don Omar's collaborative album Meet the Orphans released as the lead single from the album on August 15, 2010 through Machete Music and VI Music. It features singer Lucenzo, a French artist of Portuguese descent. 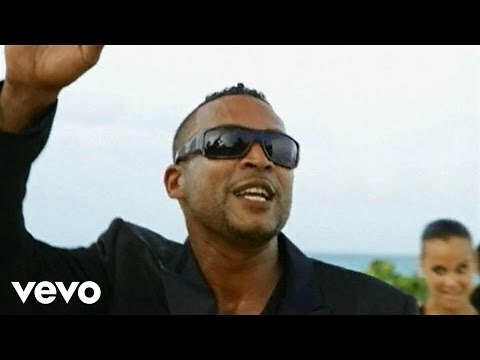 "Danza Kuduro" was number one on the Hot Latin Songs, giving Don Omar his second US Billboard Hot Latin Songs number-one hit and Lucenzo his first. A remake of the song is also featured in the 2011 movie Fast Five as an ending song and is on the film's soundtrack album. Kuduro is a style of dancing and singing from Angola. The song is written by Lucenzo who is also producer of the song. It features a section in Portuguese taken from the Lucenzo dance hit entitled "Vem dançar kuduro" featuring Big Ali. The remainder is sung by Don Omar in Spanish. Kuduro is an Angolan type of music also very popular in Portugal. A music video was filmed on the Caribbean island of St. Martin, and was directed by music video director Vincent Egret, who has directed most of Lucenzo recent videos. Production/Post supervised by Frederico Panetta and his team (4brostudio) Marc-Olivier Jean, Anderson Jean, Dullin Jean, Fayolle Jean Jr. did the post-production of the music video. The video shows the singers boasting of all the wealth of a millionaire. It portrays Don Omar inviting Lucenzo to a boat ride, and picking him up in a BMW Z4. Also there are scenes of women dancing around the two artists on the beach. Before the video premiere, a preview of the video was released on July 30, 2010 through Omar's Facebook account. The full music video was premiered on August 17, 2010 through Vevo. There were more than 1 million views within the first few days of its release, making “Danza Kuduro” the #3 Most Seen Video in the World. As of 29 November 2014, the music video had received over 621 million views. The upload of "Danza Kudro" is not available for worldwide view, due to YouTube geolocation restriction in certain countries, including in Europe.